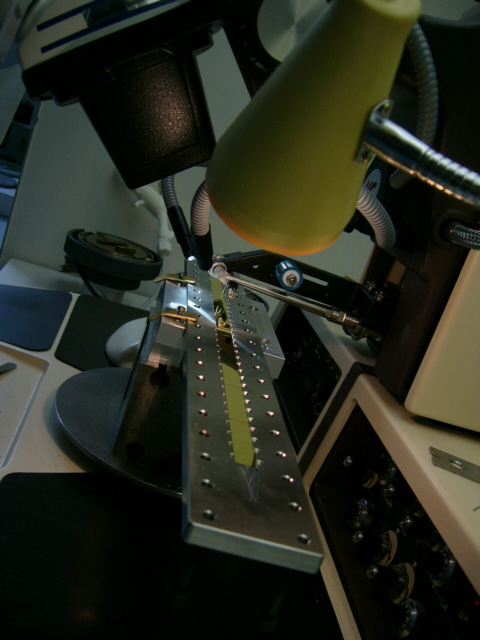 Die bonding, wire bonding and hermetization of semiconductor chips: We offer comprehensive service of semiconductor die and other chips assembly in metal (TO5, TO8,TO18, TO3 and similar), ceramic (DIL, LCC and similar) packages, on copper laminate and other custom substrates and packages. Semiconductor wafer dicing: We perform semiconductor wafer cutting and dicing on the expander foil, wafer diameters range from 2 to 6 inches, we cut silicon, galium arsenide and other materials. Optical fiber coupling to silicon photodetectors: In our Laboratory we perform optical fiber coupling to silicon photodetectors developed and fabricated at our Institute; single and multimode optical fibers, with plastic or glass cladding. One may use p-n, p-i-n or avalanche photodiodes.